King of Dragon Pass has you facing the challenges of leading a tribal clan to form a unified tribe before becoming the King of Dragon Pass. The short game has you stepping into the role of the tribe's king or queen and hold it for 10 in-game years. The long game challenges you to become king or queen of the entire game area. The game starts off with a questionnaire for the clan's backstory. Unlike other games where backstory is just flavor text or determines a starting item or two, here it defines how you will play. The game expects you to honor your history; so if your ancestors didn't take slaves, your clan will become unhappy if you do the opposite. One thing you can change throughout the game the clan's balance towards war, peace, or somewhere in the middle. You do this by going to the clan screen and choose Reorganize, which lets you not only set your war/balanced/peace setting, but also swap out members of your leadership ring. Each year is divided into five seasons; Sea and Earth are primarily harvesting seasons and its not a good idea to raid other clans during this time. Fire season is the best time for raiding. Each season lasts for two actions and if you choose not to perform a direction action, the turn can be advanced tot he next round. After each action an event may pop up. Such encounters make up the bulk of the game. You are presented with several options in response to various occurrences. Everything from people being kidnapped to chaos beasts terrorizing your land can happen and you'll never know what can happen next. Your ring members offer advice and the game highlights their suggestions in blue text whenever the player is prompted to react. While these can help, ultimately you are in charge of the clan's destiny. Sometimes consequences and rewards are immediate, other times they take several seasons or maybe even a year or two to manifest. This is one of the few games I've played where the lore is not only helpful, it is required reading. To win the game and succeed as the ruler of Dragon Pass you must complete several hero quests. These interesting events require you to learn of them by committing a sacrifice to the clan's appropriate god until certain mysteries are learned. This can take a few tries, as sacrificing will often teach the god's blessings first. Learning a blessing allows sacrifices in exchange for a year long boon or build a shrine to get it permanently. When you feel ready to take on a quest, one or more of your clan transcend to the god realm to reenact the myth. This requires reading about the myths to know the appropriate responses. While you can still succeed if you veer off the path of accuracy, you are much more likely to triumph if you reenact the myth as close as possible. Of course, there is no guarantee ether. Weak clan magic or just plan bad luck can cause your quest-taker to fail, become lost in limbo, or in a worst case scenario that I was unfortunate enough to experience, die. I found the writing to be great, which is important in a game of this type. The accompanying art seems a bit dated but does fit the tone of the game. The fact that there was no sure way to always succeed made each option seem equally viable. You really have to choose what you think is best as there are no clear cut "This is the winner" options. The people you choose to have on your clan ring matter, as once i was chided for not having enough women on the ring which made the clan magic weaker. Another time I was advised to have a trickster on the ring if we needed a scapegoat, or informed how useful a worshiper of the knowing god would be. Clan magic is very important. At the start of every year you have so many magic points in reserve that you can allocate to; learning new myths and mysteries, ensuring a good harvest, aiding in war, or health, etc. Its good to keep a few points in reserve though, as you never know when you will be raided and the extra oomph from a spare point or two of magic can turn the tides. You must balance trying to keep both the farmers and weapon thanes happy, which sometimes isn't an easy task. Events will help or hinder this, and you can opt to give wealth of goods to ether party or hold a feast to improve morale. Cows are more than simply food, they are also a sort of currency. They help you cement trade deals and peace offerings, as well as being sacrifices to the gods. Combat in game is rather simplistic. During a cattle raid you simply ether don't get caught, prevented from stealing cows, or the attempt becomes a full raid. Combat only lasts a turn and is automatically resolved. All you can do is set the points of magic to use, tactics, and a choice between plunder, drive off, kill as many as you can, or simply survive. There are many gods in the game; and trying to sacrifice and build shrines to them all will quickly exhaust your resources. Build up too quickly and try to learn too much to fast and you will run out of goods and cows and eventually starve your tribe to game over. I lost my most promising game because I was counting on neighbors to back me up with food. When I tried to cash in on some favors owed, each tribe member i turned to informed me they could not as they were having bad harvests as well that year. The game auto saves every year on the saga screen. You can see a recap here of what has happened so far and click on a year to reload it. Be advised that this is a one way trip. You can only go back once and that makes it the newest latest save. You really have to have your pacing down. Try to make a move for the crown too soon and you simply wont be ready. Being King (or queen) requires generosity and you'll be forced to make promises you cant keep. Making the push too late and more clans may already be in tribes making it harder for you to form your own. One thing i found interesting is that you don't have to rule the tribe you form right away. I actually supported someone else for the crown the first time. Then, after our king died I nominated someone from my clan as leader. After they won I had the event happen informing me I was on the path for victory. The map is mostly unexplored at first. Sending exploration parties helps to keep bandits down or discover valuable treasure. Disaster may strike and explorers can end up dead, or come back cursed! Trading with other clans is vital and being generous is the best way to rule. Although being TOO generous leads to early defeat. This game has made me think more about my decisions and trying to fathom outcomes and retaliations in advance than most of the ones I've played in the past. While I absolutely loved the game, one questionable thing was the lore screen. For important as it is, instead of being another in game menu, the lore screen takes you to the Steam overlay, somewhat breaking the immersion. Also it isn't always clear when text can be scrolled. A gold bar usually appears at the end of a segment; however, some screens such as when you are sending a emissary to another clan, start in the middle and its you may be unaware like I was you can scroll up to see that you can call on favors owed. These are just minor flaws though in an otherwise excellent game anyone a fan of the genre simply must check out. No, this game is very different. That Dragon, Cancer tells a beautiful story in the most human way possible and the flaws the game does have can’t take away from that fact. 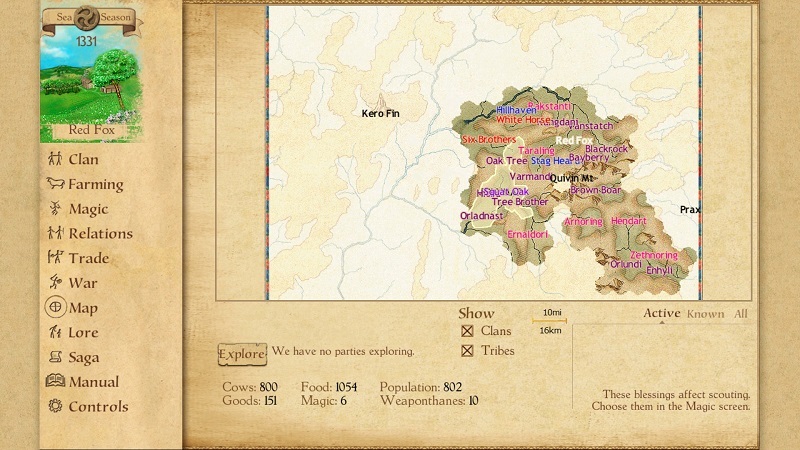 Sorcerer King is an ambitious title that combines bits and pieces from a lot of different sources to provide its own unique experience. An array of characters to play as and different defenses and modules, from defense lasers and missiles, to auto docs and area of effect traps, its definitely got variety on its side. Its a tough game with a lovely visual style. One that fans of dungeon crawlers and tower defense games may find has a ton of re-playability. Divinity: Dragon Commander is an excellently written and polished blend of action, RPG, and strategy that delivers on each front without feeling disjointed or glaringly weak in any one area. It's a game in which each component meshes together well as a whole package, and the end result is a fantastic genre mixing title that is both entertaining and thoughtfully constructed. The Trials component of this crossover came out swinging, with inventive level design and a host of enjoyable new mechanics, but Blood Dragon deserved better than this.